Day after day. We push harder and harder to work faster and faster so we can do more and more. We are trying to keep up and be efficient, but the problem is, under stress we are not effective. And yet that is how we work. Part of the problem is that we are driven by projects and deadlines, rather than purpose and dedication. The reason why we do what we do is far more important than what. At least when it comes to us thriving instead of merely surviving every day. To work and live better, we need to change our relationship with not only why we work, but also how important we are in it all. Of course we do. But the problem is we don’t think our bodies do. At least we use them as if they are dispensable. As if we can just upgrade when we are done with it. As if we can get replacement parts when something is broken. Sure, I know we don’t actually think so. We are not in sci-fi reality here, but we behave as if that is our reality. 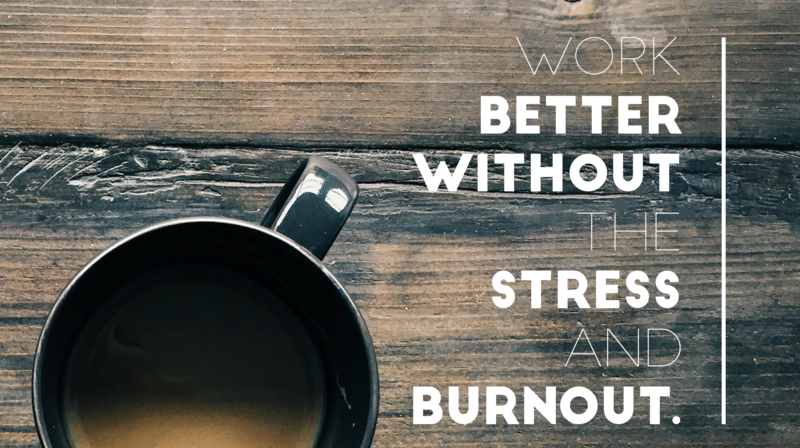 One of the first and most important ways to come out of stress and cultivate sustainable success is by creating a daily rhythm that supports us in not only being busy, but also in thriving. For starters that means 3 meals a day, water-breaks and pauses between meetings. We are so busy rushing from one thing to the next that we are not even here. We are there… before we even get there. Mindless habits can be helpful in doing mundane tasks, but work is not one of those. At least I hope it isn’t for you. And yet when we are mindless work can feel like that. We we have to drag our bodies through the day there is a good chance work does not spark our passion, even if it is something we love because we are simply too exhausted, too tired, and too burned out to care. And that is not fair to you, or to your job. Nor to your future. It starts with you and your body. If you can see nourishment as the foundation for how you perform and thrive, better. Every day. You can come out of stress and cultivation not only sustainable success, but also sustainable health, sustainable happiness. And a sustainable passion for why you work. Learn more about our WORK BETTER programs. – to make a healthy change for a nourished work culture.